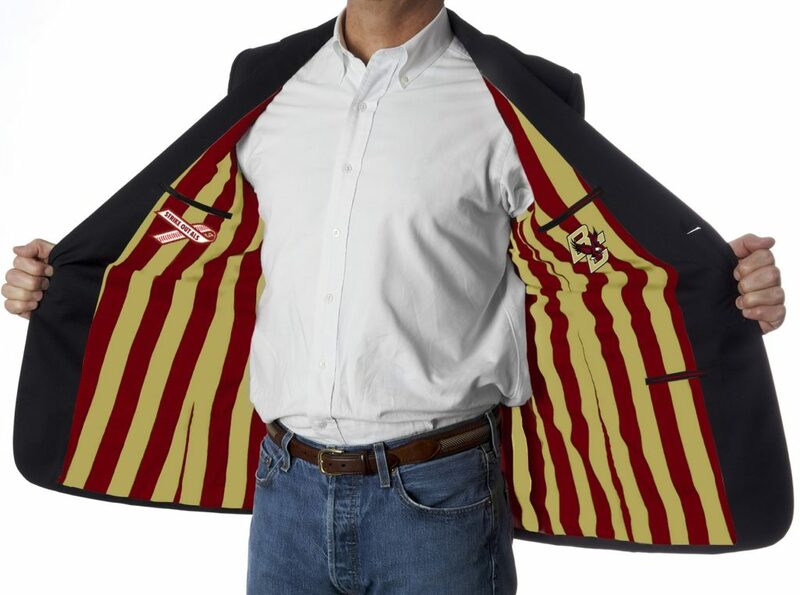 We utilize your Boston College colors to make a fun striped lining, impeccably embroidered with your crest and logos on the inside lining. An essential element in every wardrobe, the navy ALS blazer is made of 100% worsted wool for men’s and ladies and poly/rayon for kids with hand- stitched detailing and custom embossed gold buttons. Features a classic fit with two-button closure, center vent, and built in striped pocket square.